H Porsche γιόρτασε στο μουσείο της στη Στουτγάρδη τα 50στα γενέθλια της 911, εγκαινιάζοντας παράλληλα την έκθεση ” 50 χρόνια 911″. Στην είσοδο του μουσείου υπάρχει μια οθόνη που προβάλει την εξέλιξη της 911 ενώ υπάρχει και μια ρέπλικα της πρώτης 911 που παρουσιάστηκε στην έκθεση της Φρανκφούρτης το 1963. Συνολικά 40 911 υπάρχουν στο μουσείο, όπου ανάμεσα τους υπάρχει μια σειρά σπάνιων και πρωτότυπων αυτοκινήτων. Ανάμεσά τους τα 1967 911 R, η πρώτη 911 Carrera Cup και η θωρακισμένη 911 (996) του τραγουδιστή Julio Iglesias. Η έκθεση θα διαρκέσει έως τις 29 Σεπτεμβρίου με το μουσείο να προσφέρει δωρεάν είσοδο στους ιδιοκτήτες εκείνους μιας 911 που γεννήθηκαν το 1963. Παράλληλα η Porsche ανακοίνωσε πως τον Μάιο πούλησε 15.020 αυτοκίνητα (+13%) ενώ από την αρχή του έτους έχει πουλήσει 67.261 αυτοκίνητα (+19,1%). Stuttgart. 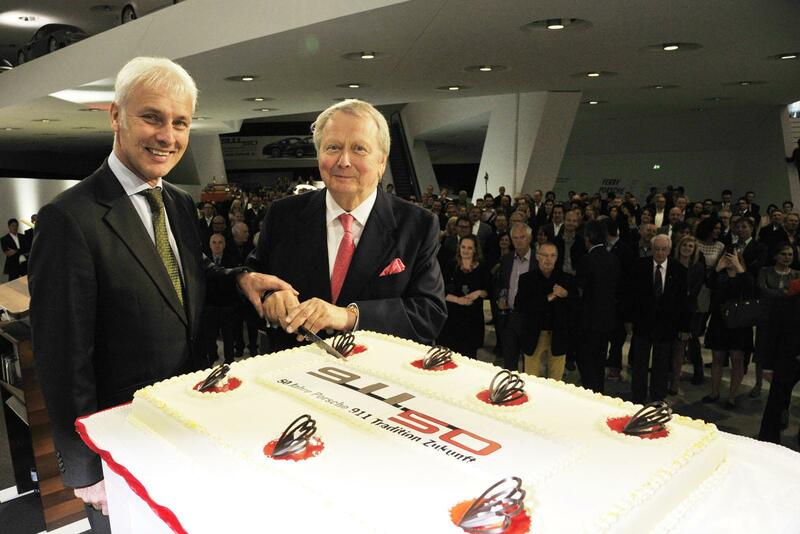 The Porsche Museum is celebrating the 50th anniversary of the 911 with one of the most extensive special exhibitions since its opening: Dr. Wolfgang Porsche, Chairman of the Supervisory Board of Dr. Ing. 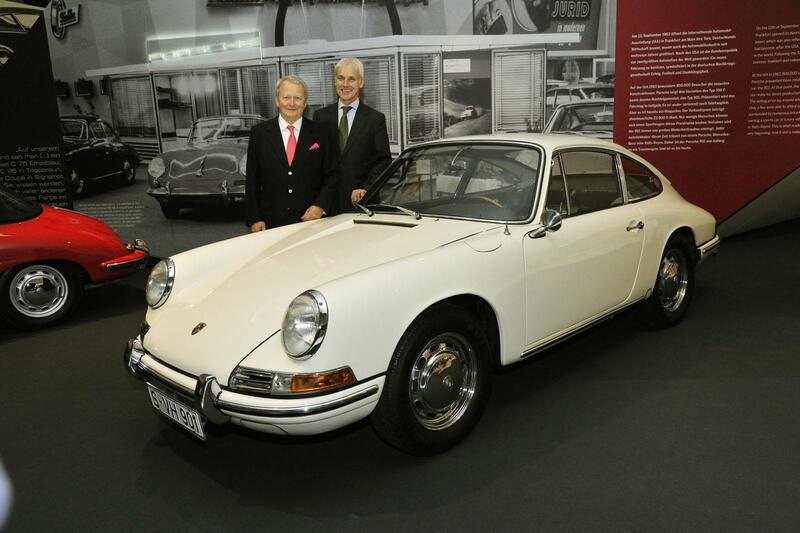 h.c. F. Porsche AG, and Matthias Müller, President of the Executive Board of Porsche AG, opened the “50 Years of 911” anniversary exhibition today. 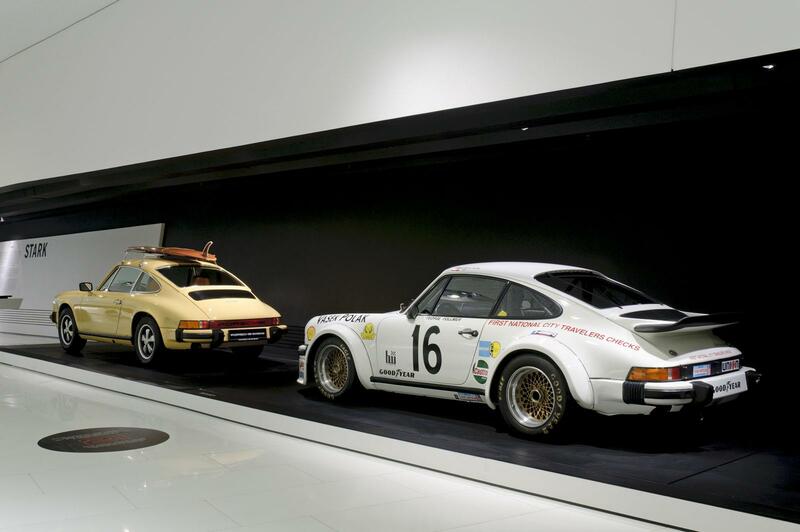 The Porsche Museum is presenting an extraordinary retrospective on the 911 until September 29, 2013. 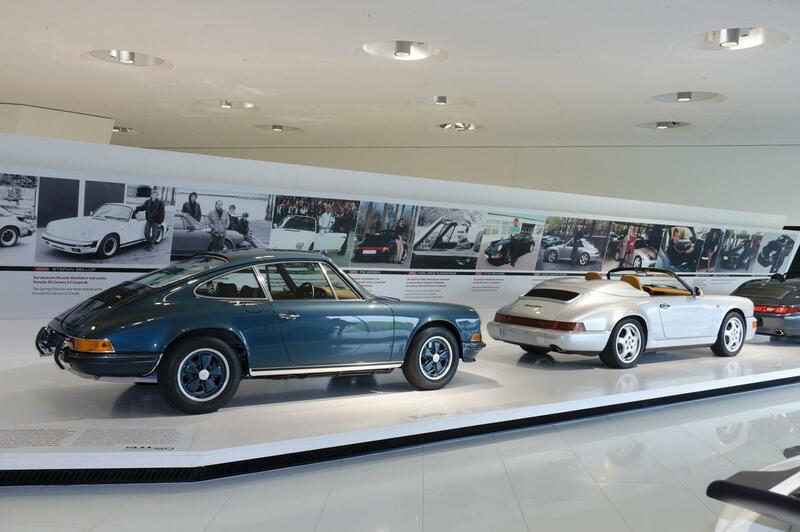 More than 40 different 911 versions tell the unique and exciting history of this sports car model range. The range of vehicles shown extends from the original 911 up to the present day, including rare production cars and race cars as well as numerous prototypes, which will be presented to the general public for the first time. 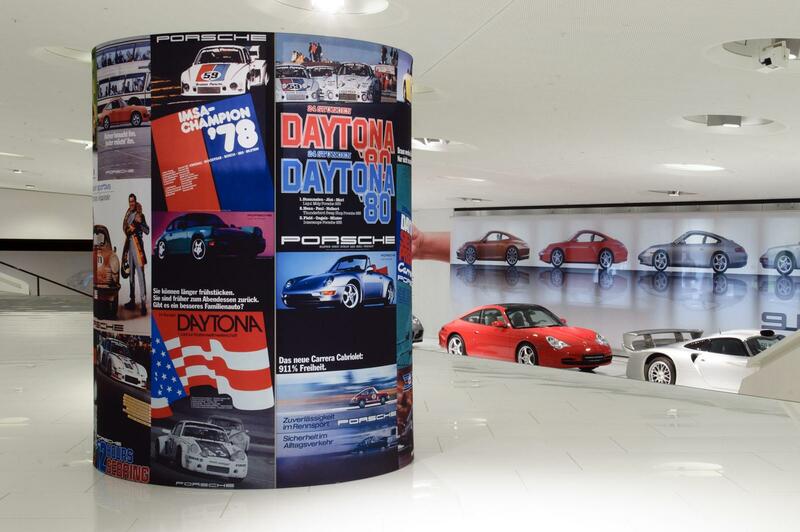 Historic brochures, advertisements and posters from the collections of the Porsche archive round off this journey through time, reviewing five decades of 911 history. 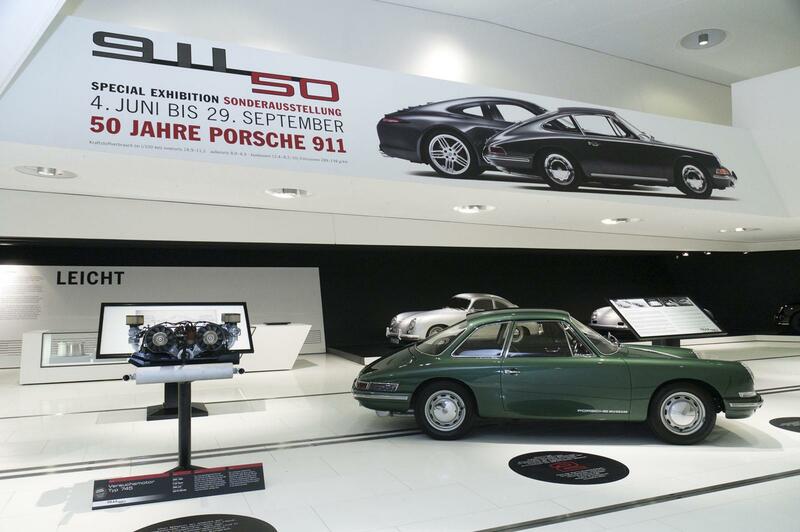 Anniversary promotions for museum visitors and 911 drivers: Many special promotions will accompany the “50 Years 911” special exhibition. 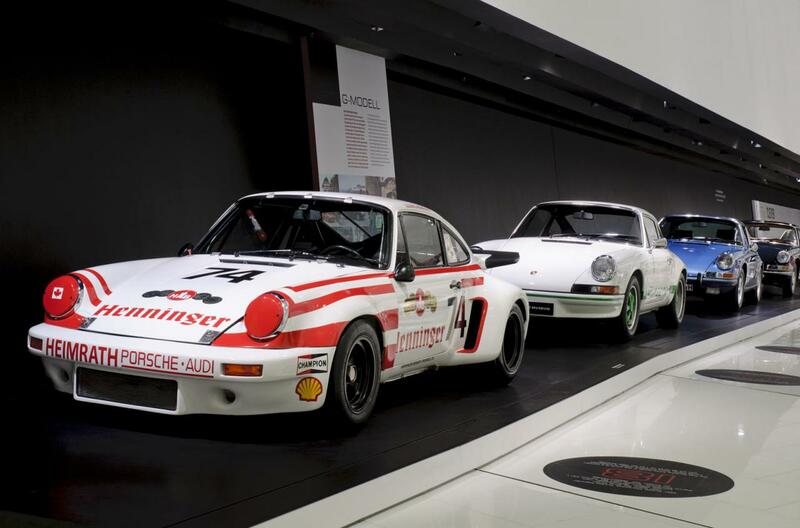 Free admission All 911 drivers plus one accompanying person, upon presentation of the vehicle registration at the box office of the Porsche Museum, have free admission from June 4 to September 29, 2013. 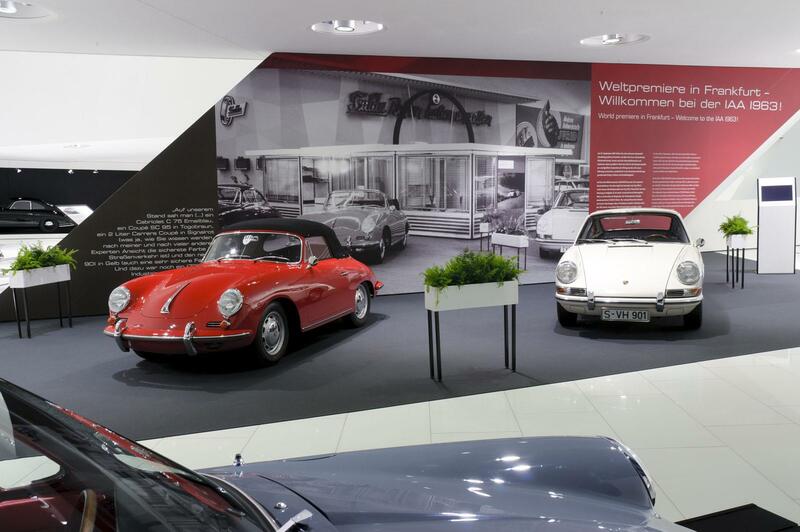 The Porsche Museum also foregoes any admission price for visitors who have been born in 1963 and can prove it by presenting their ID. Holiday programme for children Moreover, in collaboration with the Stuttgart Police Department, the Porsche Museum is organising a free summer holiday programme for girls and boys five years old and up. Ten interactive stations await the car drivers of tomorrow from August 24 to September 8, 2013, from 11:00 a.m. to 4:00 p.m. daily (except Monday). Alongside a bicycle round course on the roof terrace of the Porsche Museum, our little visitors can solve exciting puzzles and complete assignments that all have to do with the 911. The children may also slip into a racing suit and sit behind the steering wheel of a Porsche. 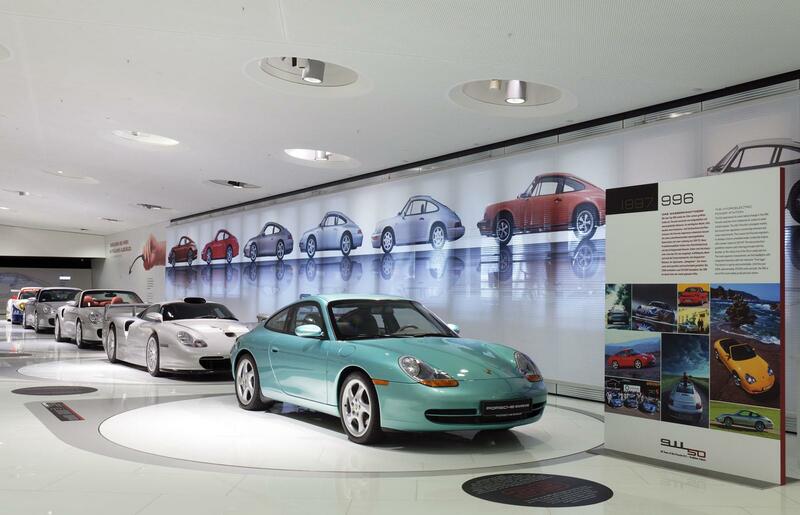 Free tours for children are provided during this time from 11:00 a.m. to 2:00 p.m.
Museum shop The museum shop will have a selection of special 911 items for sale: The in-house publishers “Edition Porsche Museum” is putting out a book entitled “911×911” in the anniversary year of the Eleven; it is available in five languages in the shop of the Porsche Museum and costs 39.90 euro. A Bordeaux with the fine-sounding name of “Rouge Pérou” has been bottled exclusively for the Porsche Museum and can be had there for 29.00 euro. The designation of “Rosso Bordeaux” has been taken from the 911 colour table – in French, it’s “Rouge Pérou.” Alongside small items like 911 sheet-metal cards and a cutting board with the design of the 911 silhouette, the museum keeps vehicle miniatures for model car fans on hand. Posters depicting 50 production cars and race cars (for 19.00 euro each) round off the anniversary range of offers. Museum cafeteria Our visitors restaurant “Boxenstopp,” located in the lounge, is also serving special 911 dishes. They range from the “Targa Florio Antipasti Plate” for 9.11 euro to a 911 birthday hamburger for 9.97 euro to the “Turbo Currywurst” for 9.64 euro. The opening hours of the “Boxenstopp” are 11:00 a.m. to 6:00 p.m. from Tuesday to Sunday. It can be accessed without an admission ticket. 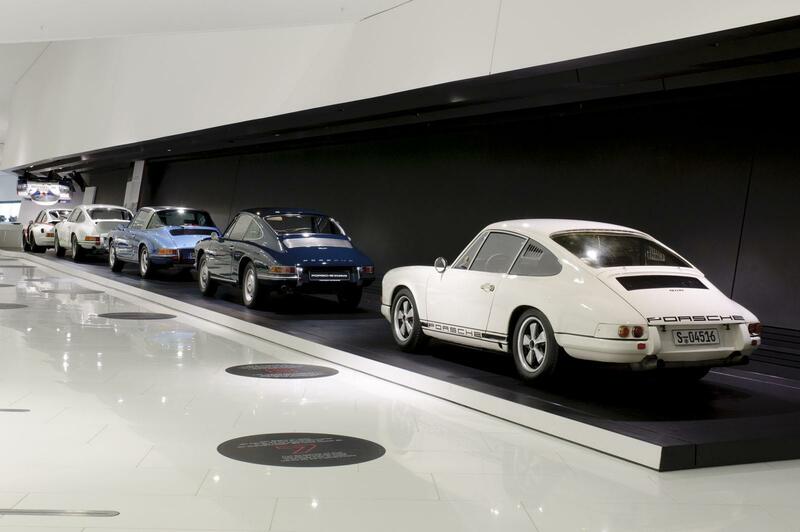 The Porsche Museum is open from 9:00 a.m. to 6:00 p.m. Tuesday to Sunday. The admission fee is eight euro for adults. Reduced price tickets cost four euro. You’ll find more information in the Internet at: www.porsche.com/museum. Stuttgart. With 15,020 deliveries worldwide in May 2013, sports-car maker Porsche has outperformed the figure of the same month in the prior year by 13 percent. Up to now, 67,261 new autos of the model ranges made in Zuffenhausen and Leipzig were handed over to customers this year – a boost of 19 percent compared to the period of January to May 2012. In the United States, exactly 3,927 customers rejoiced over the delivery of their new sports car – an increase of 38 percent compared to the same month of the previous year. In the second-largest Porsche market, China, the very high level from May 2012 was improved by six percent to 3,206 deliveries in May of this year. The best-seller in this market was again the sporty SUV Cayenne. The new models in the Boxster and Cayman model ranges were especially sought worldwide: Porsche delivered 2,805 mid-engine sports cars to customers – this is nearly three times the figure of May 2012. 3,000 vehicles in the 911 model range, i.e. twelve percent more than in the same month of the past year, were handed over to customers in the reporting month.